Black Banana Cookies is one of the most outstanding cookie crosses to recently gain popularity amongst cookie aficionados. This cross of Relentless Genetics Banana Fire Cookies and Orgnkid’s Blackberry Kush pheno is an absolute powerhouse. You can expect big frosty buds with lots of colorful hues to light up the garden. This cross is sure to produce some amazing new keeper phenotypes that will have all your friends eager to try. 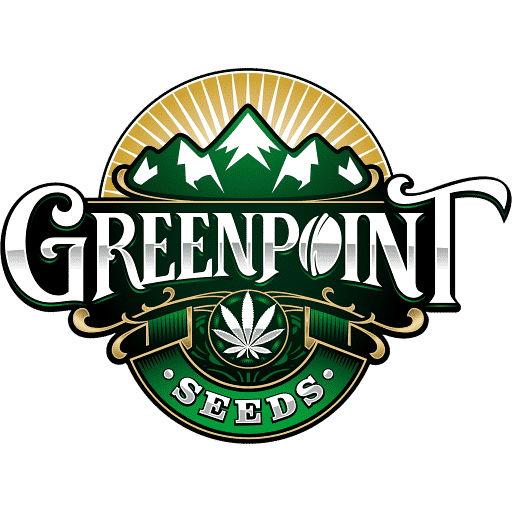 With hints of tropical banana mixed with berries followed by a wonderful cookie flavor, this cultivar is an absolute winner. Black Banana Cookies is one of the most outstanding cookie crosses to gain popularity amongst cookie aficionados recently. This cross of Relentless Genetics Banana Fire Cookies and Orgnkid’s pheno of Blackberry Kush is an absolute powerhouse. You can expect big frosty buds with lots of colorful hues to light up the garden. This cross is sure to produce some fantastic new keeper-phenotypes that will have all your friends eager to try. 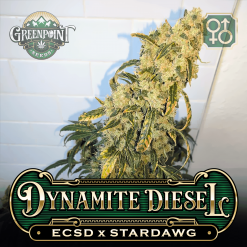 With hints of tropical banana mixed with berries followed by a beautiful cookie flavor, this cultivar is an absolute winner. Fire Banana Cookies is a cross from Relentless Genetics that unites OrgnKid’s legendary Banana OG cut with Relentless Genetics Fire Cookies strain. Banana OG is a cross between the Ghost OG cut and a mystery Sagarmatha seed that produces perfect golf ball size resin coated buds that give off an aroma and flavor of tropical bananas. Relentless Genetics Fire Cookies is a cross of the Girl Scout Cookie Forum cut and Fire OG bx1 that produces amazing aromas of sweet fruit and floral cherry. Fire Cookies is known for its resin-soaked buds and nice calming effect that will leave you feeling relaxed and stress-free. Fire Banana Cookies is a cross that any connoisseur will love. 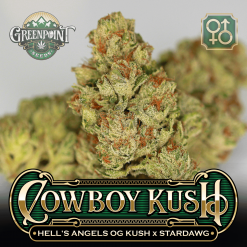 It has all the flavor and bag appeal of both parents along with some amazing effects that will relax you, stimulate your appetite, and let your mind wander. 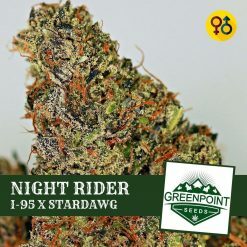 Blackberry Kush is another one of the legendary cultivars that OrgnKid shared with the community decades ago. 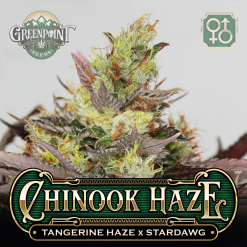 This cross of Purple Rhino and Blackberry produces gorgeous flowers that give off a fantastic aroma of sweet berries and a flavor that is reminiscent of pancake syrup poured over blackberries and mixed with an earthy hashy taste. Black Banana Cookies is an excellent cultivar for any level of grower to add to their garden. It will be a breeze for an old pro to grow and a fun and exciting cross for anyone just learning or still advancing their skills. 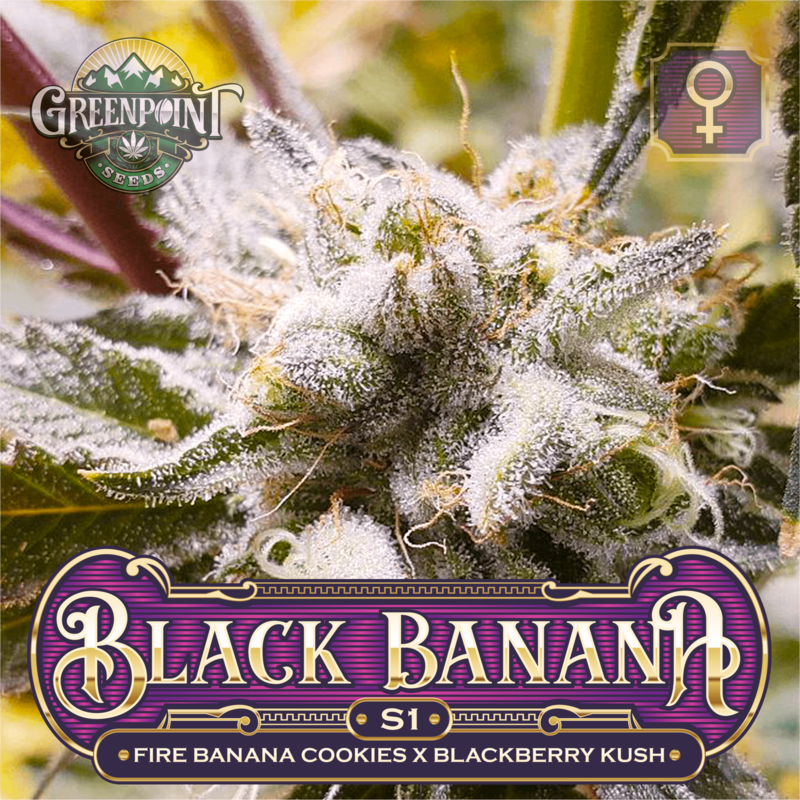 The Black Banana Cookies S1 is sure to produce some fantastic new keeper phenotypes that will have all your friends eager to try. You can expect to see vigorous plants that produce more abundant fan leaves with dark candy stripped stems and lavender undertones in the flowers. This is a quick finishing cross with many phenos finishing under 60 days. Expect this one to be special and find its place amongst your favorites in the garden.